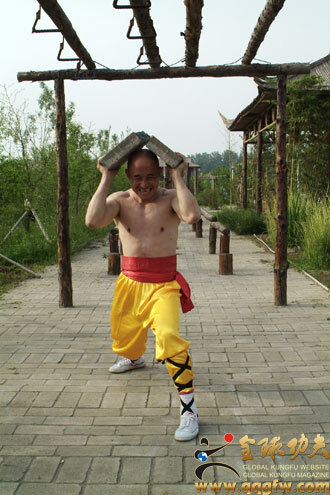 Iron Head Gong belongs to External Exercises, with strong manliness and internal strength. 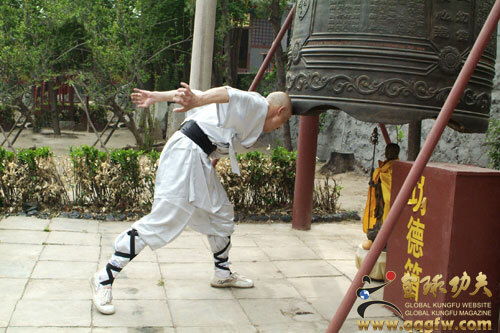 Generally, Iron Head Gong is divided into three parts: front top of the head, forehead and hindbrain. When practicing Iron Head Gong, it needs external exercises to strengthen the body, however, it also very important to make the brain room full of internal exercises and make them influenced by each other. Finally, you can practice it very well. 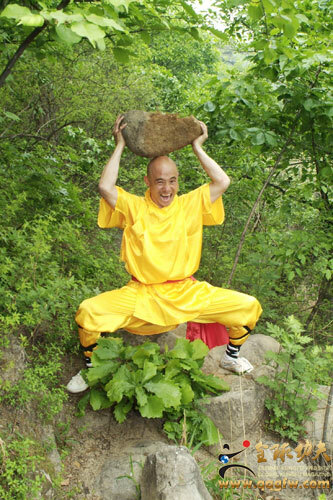 Otherwise, if you only use external strength without internal strength, although you can success at last but you can never learn the best of Iron Head Gong. 1. 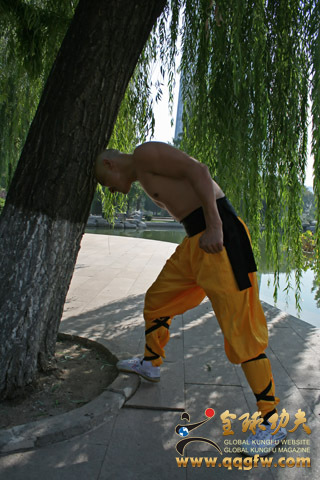 To protect skull, it is necessary to practice on sandbag from light weight to heavy weight. Follow the steps to practice without blinding in case of hurting yourself. When practicing, invigorate Qi and make it reach to the brain. Do this kind of practice for several days in a day. Do not use too much power at the beginning. You can increase the weight and times of practice as the time goes on. After one year’s practice, preliminary success can be achieved. The tool of this stage can be replaced trees by brick or wall stumps and follow the principle of Exercise. Practicing two hours each day and the intensity of training varies with each individual. (Figure 7 - 10). The most successful practitioner’s head is as strong as the stone, crushing the stone and touching iron panel deeply. It needs more practices to reach this state. Think calmly in detachment, put aside distracting thoughts and make your brain as clear as the nature. Then begin your practice. It is expected that you can reach the peak. (Figure 11 - Figure 13).